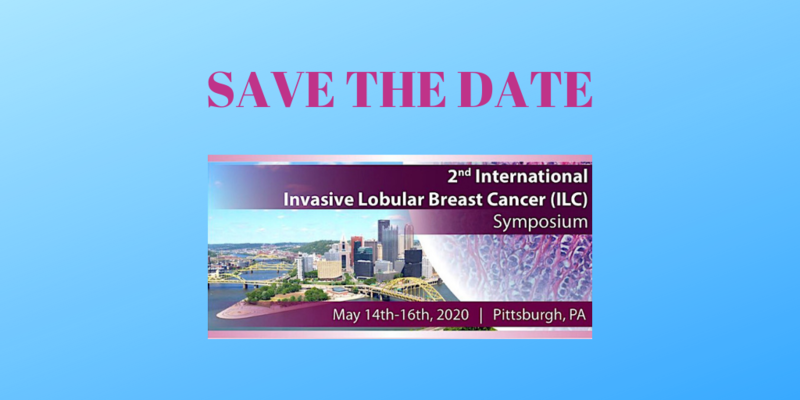 The Lobular Breast Cancer Alliance is a sponsor of the Second International Lobular Breast Cancer Symposium on May 14 – 16, 2020 which will be held at UPMC Pittsburgh, PA. This conference will include a patient research advocacy component, potentially on May 13th. More details on registration, agendas and participating as an advocate will be posted on this page. Registration is not open yet. 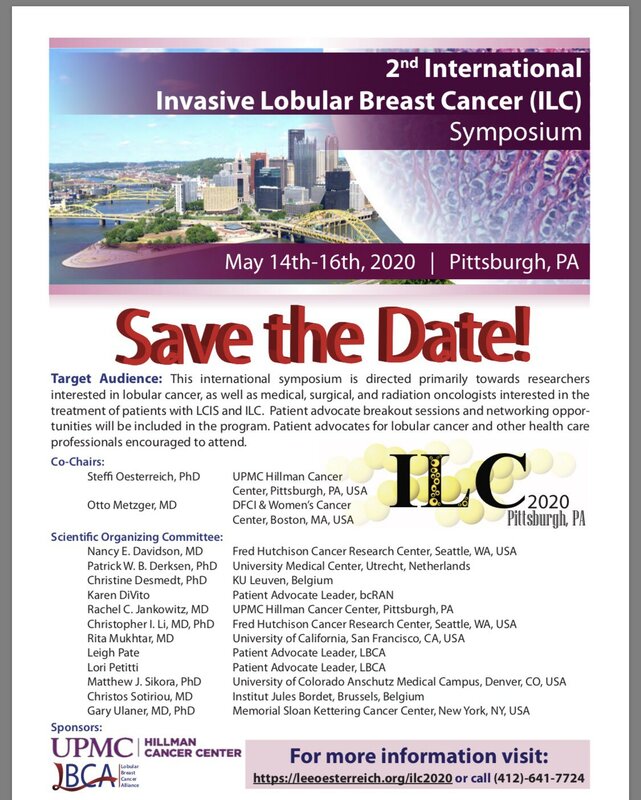 Follow LBCA by subscribing to our newsletter and updates, and find us on Facebook and on Twitter for updates and more information as the conference develops.